Learn how to log into your Listrak account. Welcome to Listrak! Logging in to your account is simple. 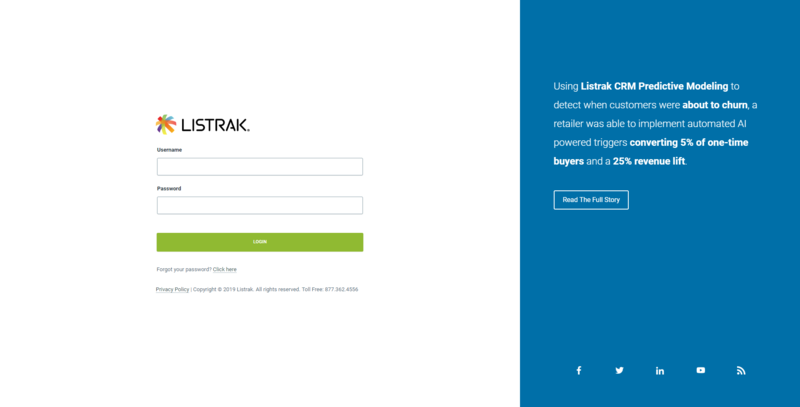 Click Login in the top right-hand corner of our homepage at www.listrak.com or go directly to the login page at https://admin.listrak.com. NOTE: If you haven't received your login credentials, contact your account manager. The account will be locked after 10 failed login attempts. If this happens, just contact Listrak Support to have your password reset. TIP: Your Listrak password must be at least 6 characters in length and contain three of the following: uppercase letter, lowercase letter, number, special character. 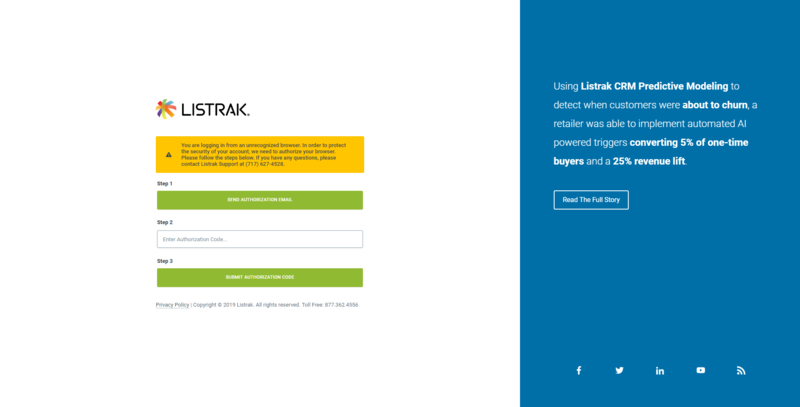 If Listrak detects that you are logging in from a new device or browser, you will be asked to provide an authorization code for your protection. Click Send Authorization Email. An email containing the authorization code will be sent to the email address associated with the account. Type the code into the space labeled Enter Authorization Code. We require authentication to protect your (and your customers') information. At Listrak, we take security seriously and put measures in place to ensure that your data is protected. Listrak uses a two-factor authentication process. Users can validate new devices by confirming a code that is sent to the email address associated with their account. The user's device will remain valid as long as two out of three pieces of evidence match the data collected at the time of verification.